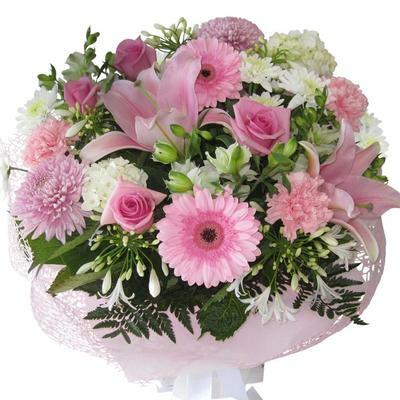 Mothers Day Flowers - Auckland - FREE Delivery - Best Blooms Florist Auckland N.Z. Thanks Best Blooms - lovely thing to do sending me photos. I'm on the other side of the world and so wouldn't see them any other way. She really needs the flowers this year - been going through a tough time. These are so bright and cheerful, I hope it's helped to make her birthday special - despite everything. Mother's Day Flowers Auckland wide FREE Delivery from Best Blooms Florist. YES! Deliveries Sunday Mothers Day, but don't keep her waiting - Send it on Saturday! Mum will LOVE a Surprise Flower Delivery from You whether you choose Saturday, or a Sunday Mothers Day Flower Delivery. What Flowers are in Season for Mothers Day? Mothers Day Flowers in season are: Orchids, Tulips, Roses, Gerberas, Alstroemaria, Sunflowers, & of course the classic Chrysanthemums. We also recommend our Combo Gift Packs, Mothers Day Gift Baskets, Living Plants and other great gift ideas for her, that both you and Mum will be delighted with. N.Z. Mothers Day is on Sunday 12th May 2019. Guaranteed - We have a Rock Solid Guarantee policy. You can Trust us to Deliver. Please Note: Due to the large volume of gift deliveries on Mothers Day - we are unable to guarantee morning delivery - however rest assured, we have hired our own extra delivery drivers, the couriers have extra staff on, and we will do all we can to get our flowers delivered as early as possible. Order your Mother's Day flower delivery in Auckland securely online now. "If I had a flower for each time I thought of my Mother, I could walk in my garden forever." For Mum - FREE Delivery in Auckland!